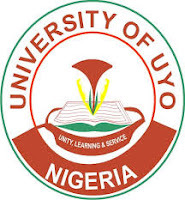 This is to inform all the returning students of the University of Uyo (UNIUYO) that the management of the institution has announced the registration portal closing date for the first semester, 2017/2018 academic session. The registration portal for first semester 2017/2018 session will be closed on Sunday 18th February 2018 by Midnight. The affected students are advised to register immediately in their own interest.